Match drill the 4 holes I missed in the aft floor skin. Drill out rivets to attach the pitch servo mount on F-729B. 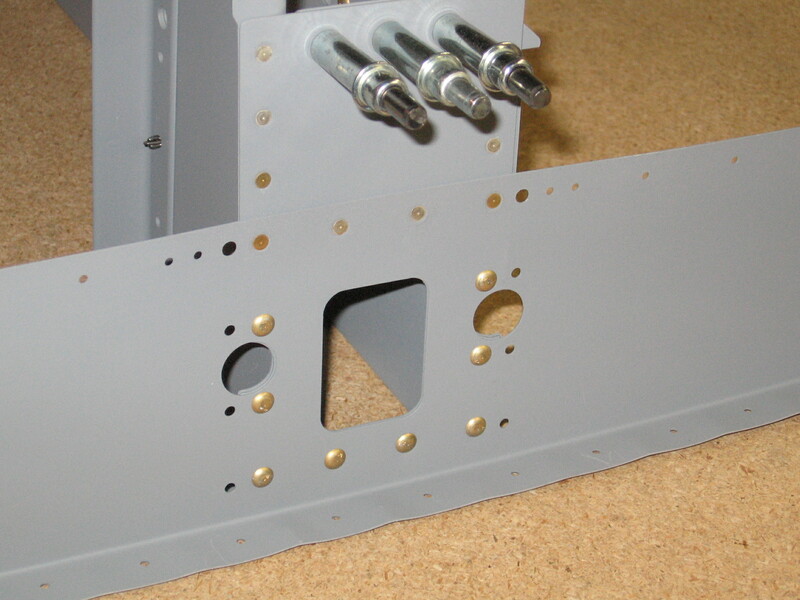 Match drill the holes for F-729 that attaches to F-707 bulkhead. Go ahead and make the bellcrank and mounting hardware. 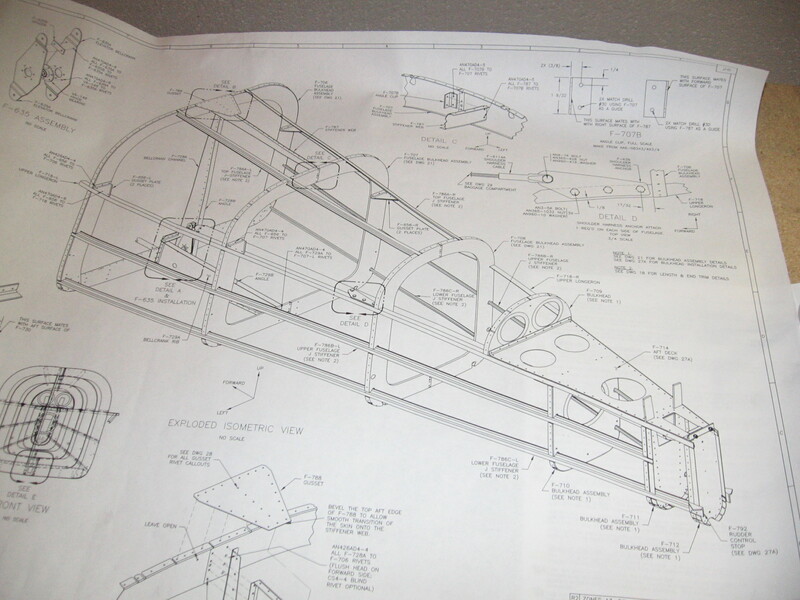 I’d love to finish up all the prep leading up to final assembly and riveting by the time I hit my vacation in a week. That would allow me to concetrate on getting the QB wings done or nearly done in a concentrated week of effort and pick up the fuse again by the end of June. We’ll see. Better than finding that 10 dollar bill you left in your pocket is finding the $50 Aircraft Spruce gift card from Christmas that you thought you lost. It was in my wallet the whole time. Duh. So I guess I’ll have to do a little shopping soon. Some parts ready for primer or touch up. 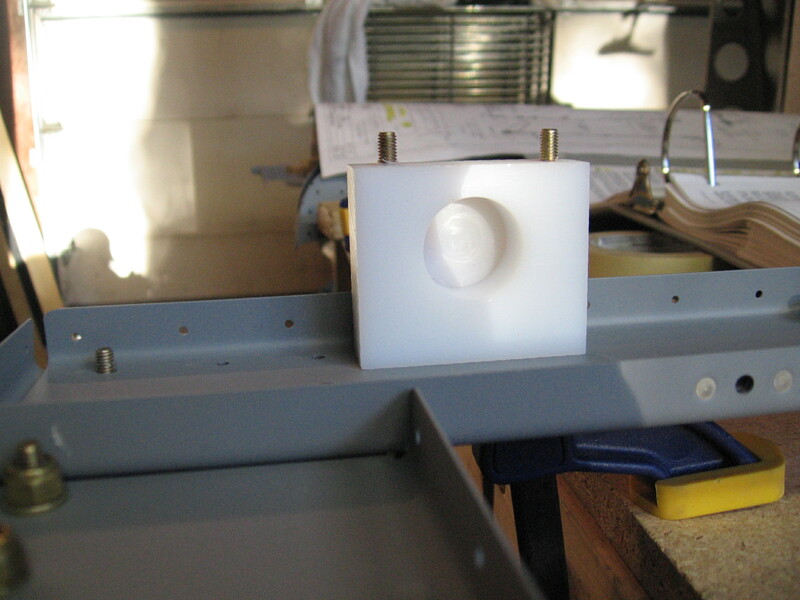 This is the approximate location for the pitch servo mount. I started drilling on the aft fuse tonight. 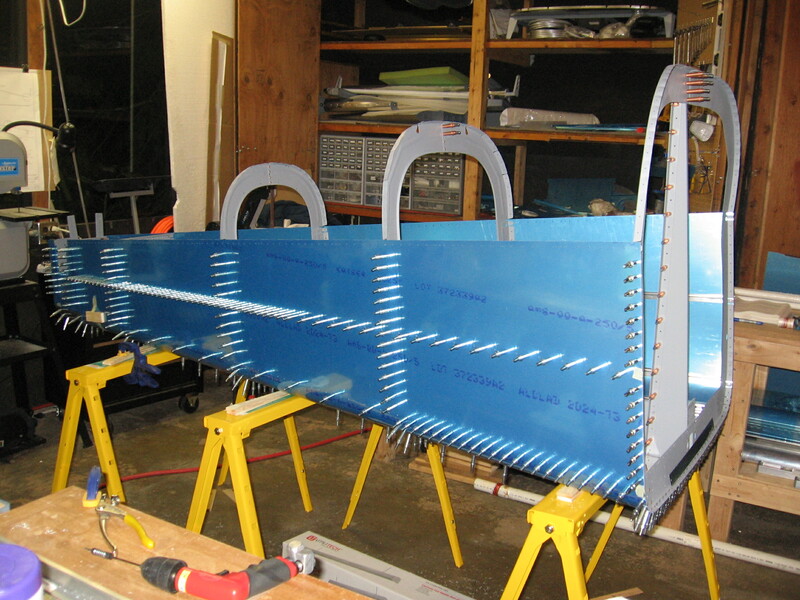 I was tired already from taking the family to GA Day at Paine Field, So I only got part way done with the J-stiffeners. I’ll hit it again tomorrow. 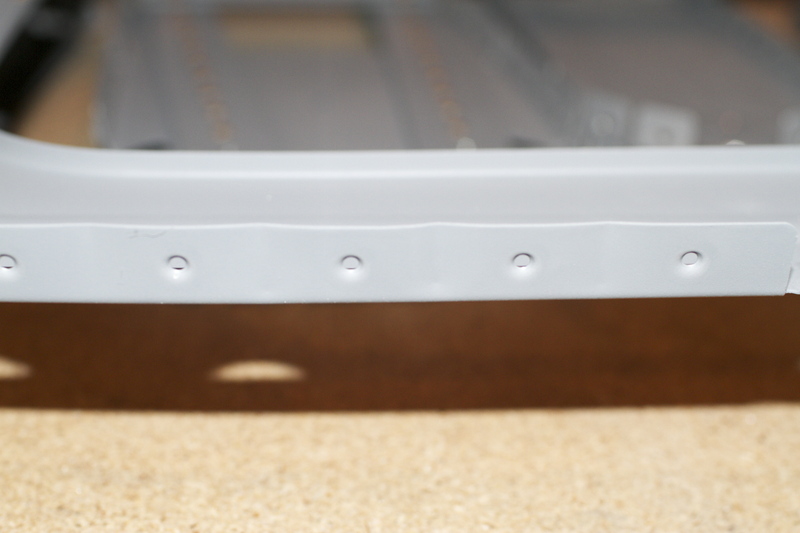 I looked at the side skin, F-779 and J-stiffener interfaces and decided to wait on those holes. I am going to remove F-779 and drill those holes separately. 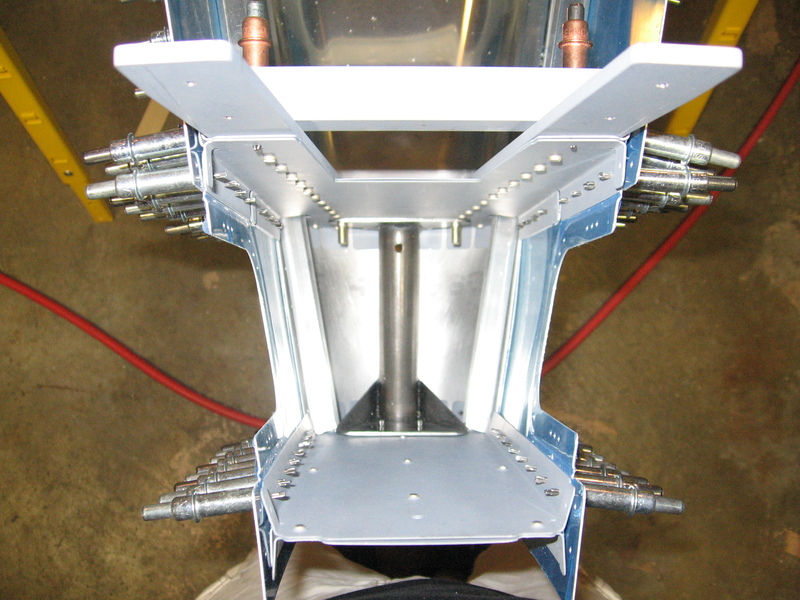 I’ll match drill the J-stiffeners in place and then put it all back together. 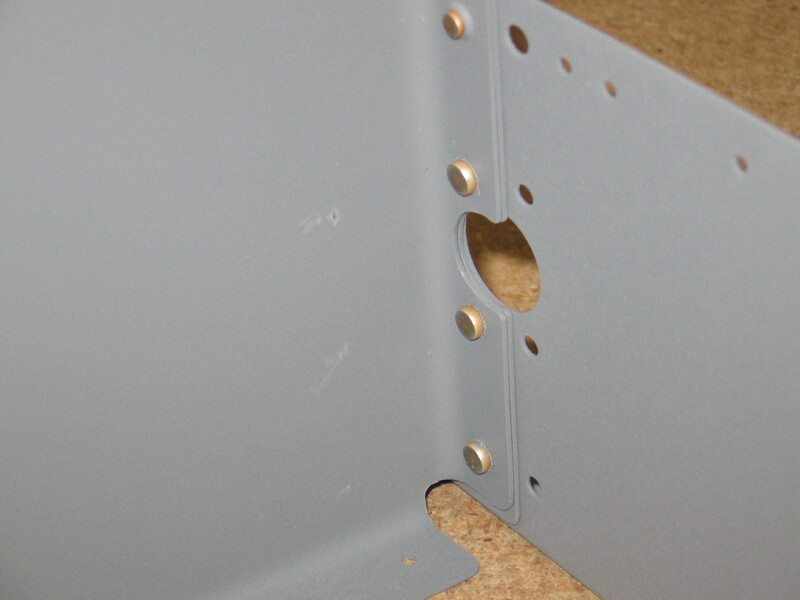 I didn't like trying to line up all three pieces in these holes, so I will be drilling F-779 separately. 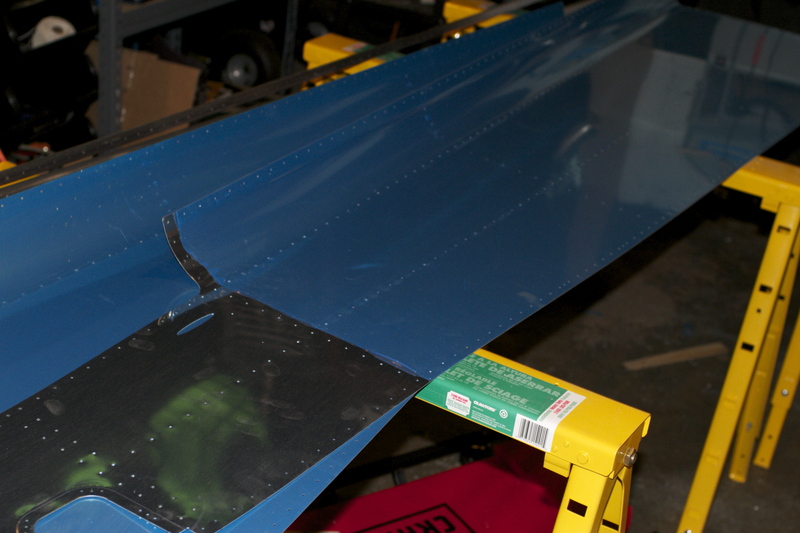 J-stiffeners and F-711 interface. Line up worked out very well. I was concerned these flange tab holes wouldn't line up when drilled but they turned out pretty well. Sorry- I just couldn’t resist the title. Looks like I’ll be able to drill the j-stiffeners this weekend. 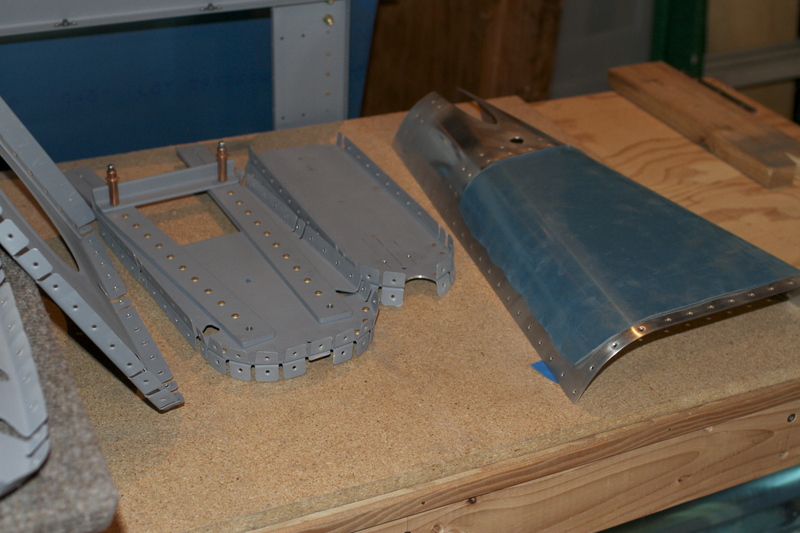 Most everything has lined up well so far including the F-779 tail cone which just took patience to line everything up. 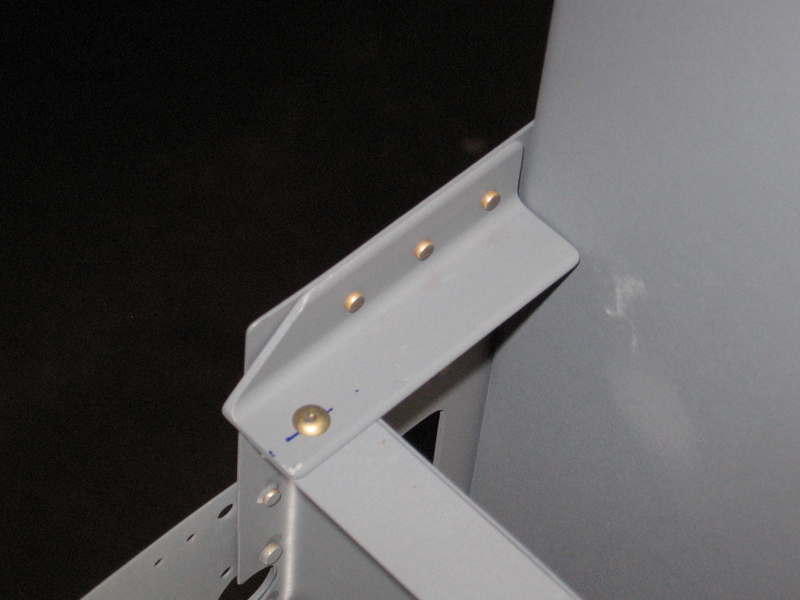 The only issue for me is getting the F-712 bulkhead and the WD-409 tailspring mount to seat nicely. There’s a bit of a gap at the top between the two parts. I think it might just be needing to provide some clearance in the tailcone cut out but it can wait till I match drill the stiffeners. I’ll post pics later of this issue and the drilling. I logged some good time in today on the project and took care of some loose ends. As is the case when I’ve let the project sit for a while, I spent a good hour just cleaning up the workshop and wrapping my head around where I left off. I took the temp assembly apart bulkhead by bulkhead and angled the flanges. This helped the fit BIG TIME. 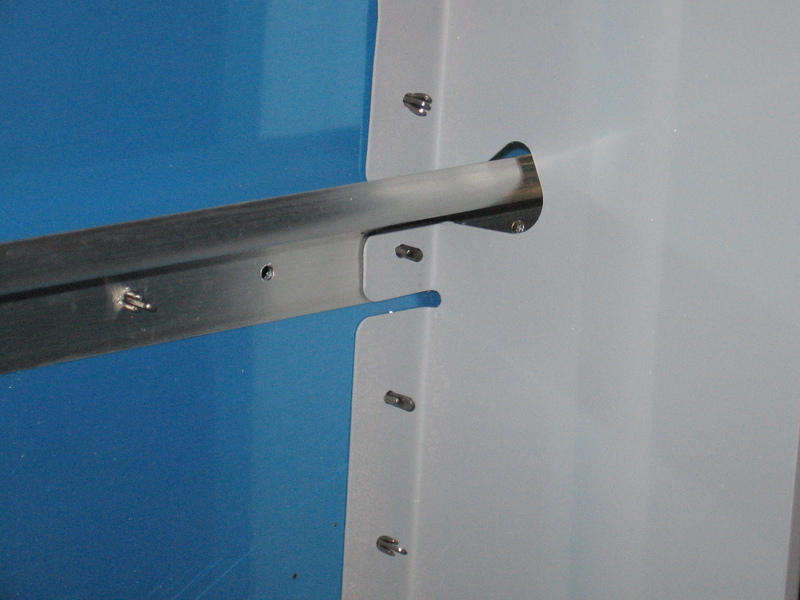 If you read this before getting to the aft fuse assembly, do this first and everything should go together much easier. YMMV. I also finally cut and prepped the replacement j-stiffener and riveted the small piece of angle to the F-706 assembly I held off on. Everything is clecoed back together and ready to be checked for alignment before drilling. I need to go get a couple of plumb bobs and some wedges but ran out of time this weekend. It was a beautiful day in Seattle today. I was able to get a mile run in and spend quality time with the family outside in the rare sunshine. There is lots to update on the project as well. After my run, I bolted and torqued the seatbelt anchors onto F-705 as well as drilled out the plastic flap bearing blocks that will be bolted sometime later. Later this evening I attacked F-706. I got all the riveting done where F-706 joins with the bellcrank ribs. All the rivets were easily reached with the squeezer. I need to drill some holes at the top of the 706 bulkhead and set about 10 more rivets on the outrigger joints on the three piece 706 bulkhead before moving onto 707, 708, 710, 711, and 712. All those look pretty straight forward. I should be able to knock them out in an evening. 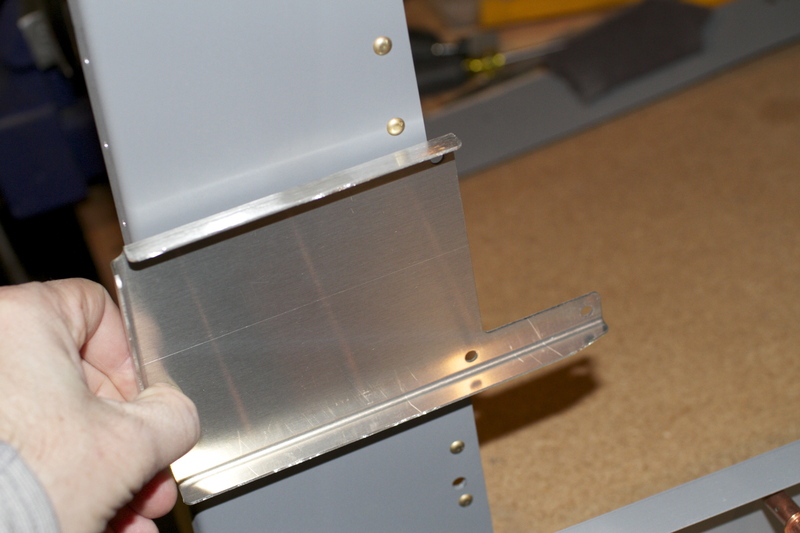 Once the bulkheads are complete, I can setup and bend the longerons. Then we get to have some fun and put together the aft fuse! This will mean I can pull down some of the big skin pieces from the rafters and the fuselage will finally start to take shape. 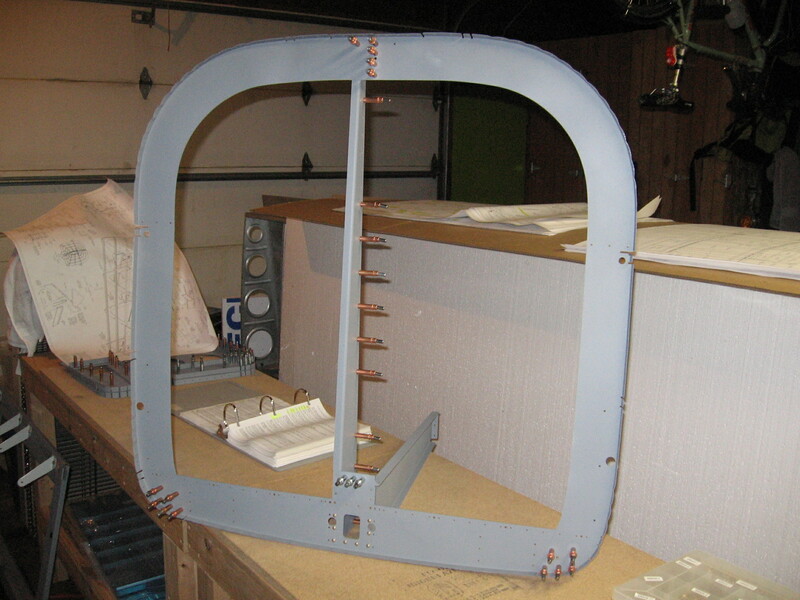 The 706 Bulkhead with most of the riveting complete. 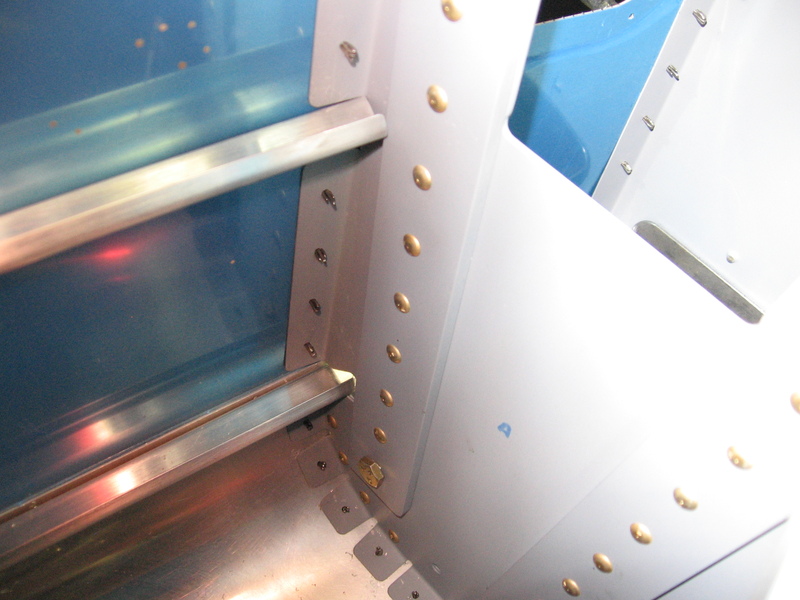 A detail of the intersection of the 706 bulkhead and the bellcrank ribs. 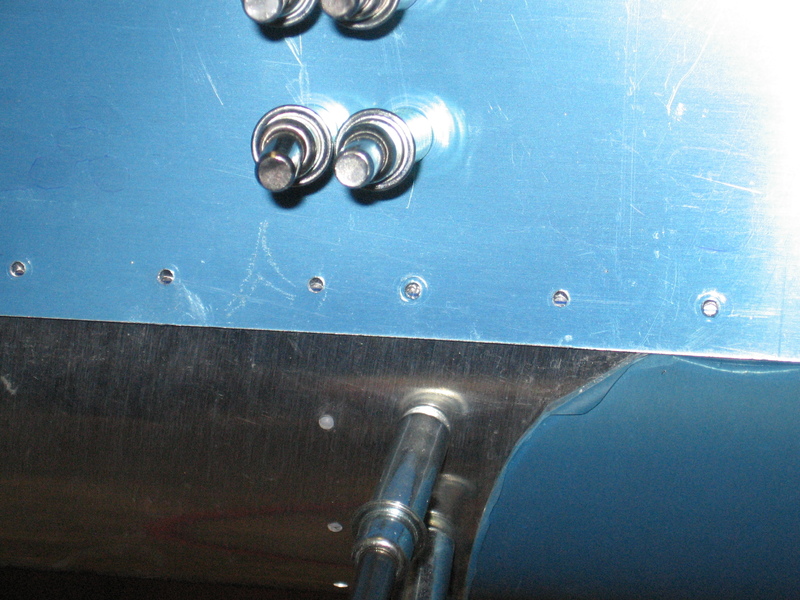 Detail showing shop heads on the 706 and 729 joint. 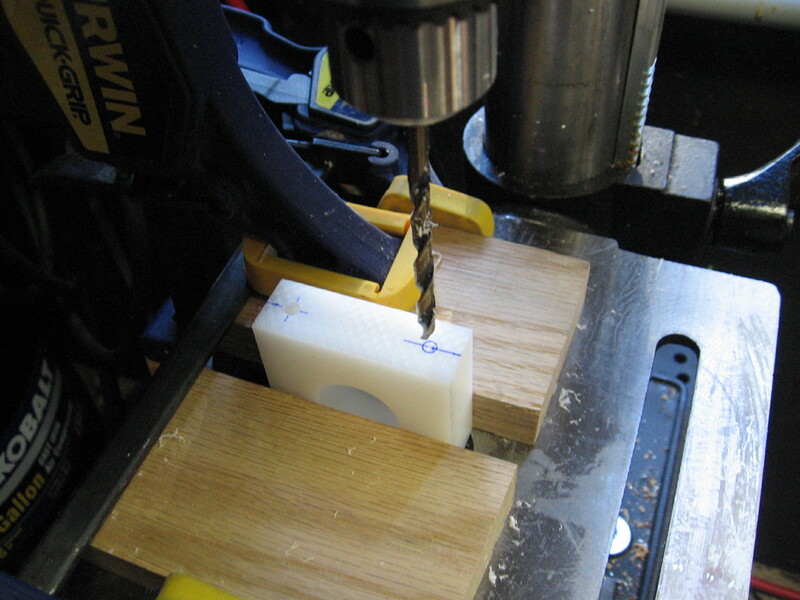 Drilling out the flap bearing block holes with #10 bit. 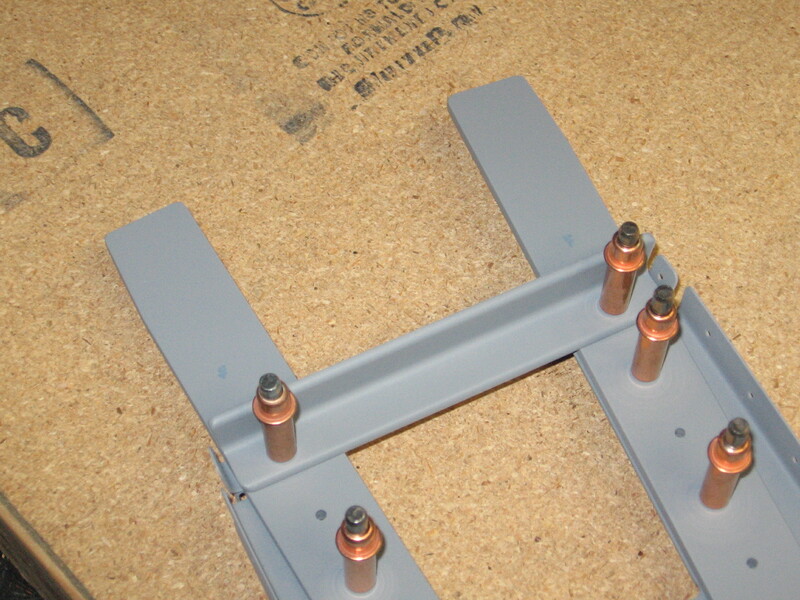 The the block and bolts fit perfectly with the 705 bulkhead after drilling.